This week’s guest is Dan Whittaker. Dan shared some interesting stories from his time working in Formula 1, and explained what it’s like applying lean in the United Arab Emirates. An MP3 version of this episode is available for download here. Subscribe & Never Miss New Episodes! If you enjoyed this podcast please be sure to subscribe on iTunes. Once you’re a subscriber all new episodes will be downloaded to your iTunes account and smartphone. The easiest way for iPhone users to listen to the show is via the free, and incredible, Podcast app. You can download it here. 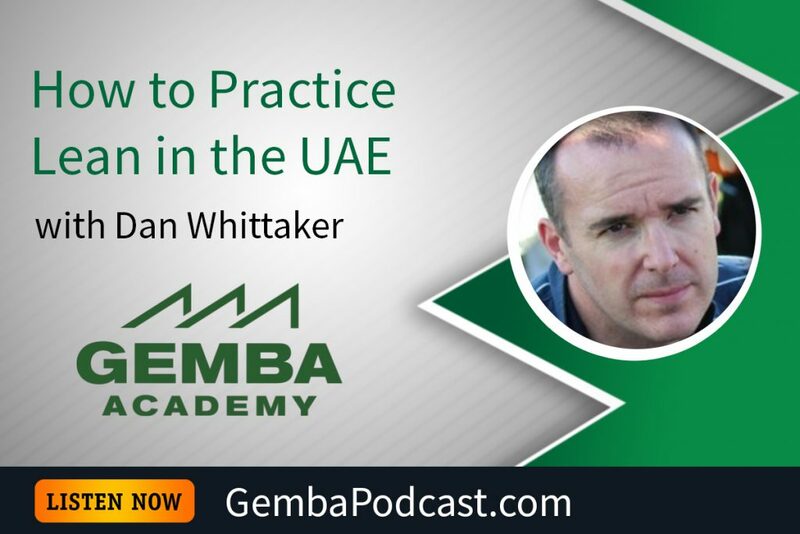 CLICK HERE to subscribe to the Gemba Academy podcast on iTunes. You can also subscribe via Stitcher which is definitely Android friendly. How can implementing lean vary between companies? Between countries? - Master Black Belt in Lean Six Sigma Methodology. - Expert in Kaizen event for rapid project execution. - Over 20 years of Professional Business Consulting experience at the C-Level. Executive Master Black Belt leading $ billion business transformation projects globally in multiple Industries. I am a leader who delivers results.